Replacement for a PS-5 Boss, is it out there??? Discussion in 'Effects, Pedals, Strings & Things' started by hippieboy, May 6, 2016. 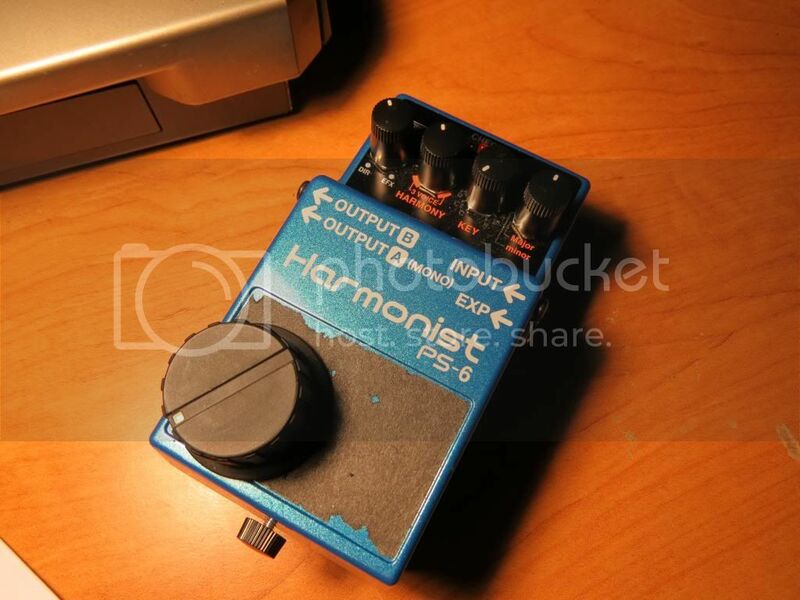 I know that the question seems a bit silly with all the great harmonizer/pitch shifters out there, but the thing is i'm looking for very specific points in this pedal and i haven't found one besides the ps-5 that has them, i really like my ps-5 but i want to upgrade to something better! 1. Small size, if it's a killer pedal no more than the small strymon pedal size, but preferably a standard boss size. 2. Pitch shifter capabilities in major and minor, 2nd, 3rd, 4th, 5th, 6th, 7th, 1 octave, 2 octaves, above and below. 4. Whammy capabilities compatible with an expression pedal. 5. Obviously better tracking, and sound! I can't find this on any small pedal in the market at the moment, not even the Ps-6 which is lacking some features. Any recommendations, is there a pedal out there that can do all this in a small enclosure? #5 better tracking and soud !! It does come after 5. Frankee and renoman_89502 like this. What about that new whammy mini pedal? The Riccochet? I think it does all that. The PS-6 does have better tracking and is a quality pedal! I have been using one on my band board for over two years now and it covers a lot of ground. The problem with the ps-6 are the intervals, it doesn't have all of the ones i need otherwise it would be perfect! I haven't delved deep on that one, but i remember reading that it doesn't have all the intervals available, am i wrong? You're correct @hippieboy, I just checked and it doesn't tick quite all the boxes. Though how one contextually would use a major/minor 6th interval is beyond me! hippieboy and NHBluesMan like this. Yeah, there's a little sound i like to make with all the intervals... otherwise the ps-6 would be perfect! It's a fun pedal, one of my neighbours doesn't like it, but I do so screw it! Rock On!